Today, we were lucky enough to have 5 Questions with someone whose "Road to Houston" has been a little different than most! 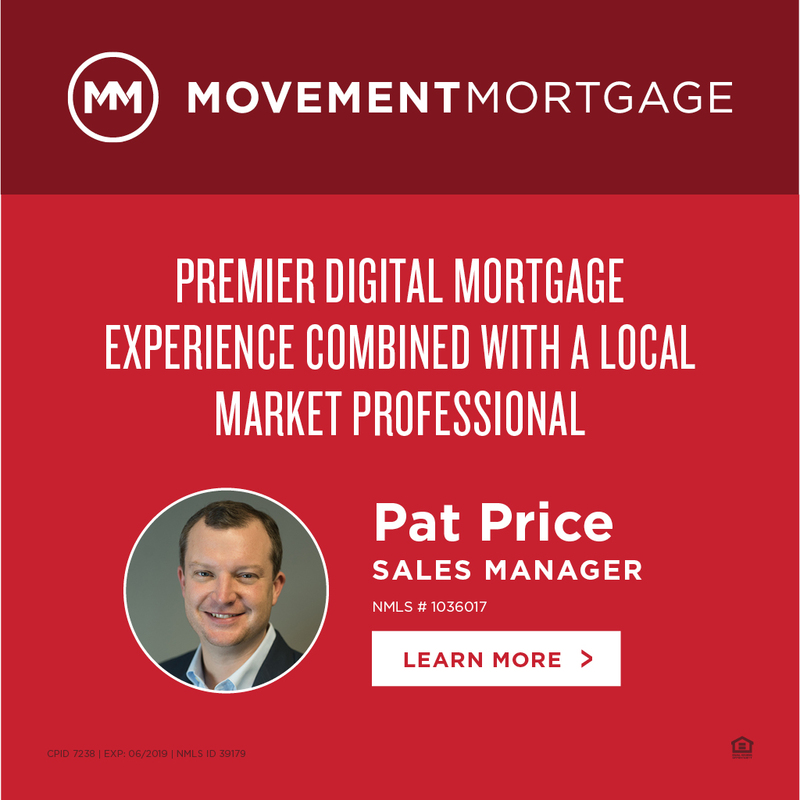 We'll have a few more of these features as we lead up to the big day on January 14, 2012. Jesse Armijo has a great story. He's 29 and is just starting to come into his own. Having qualified for the trials at the California International Marathon just over a month ago, he'll have his hands full in Houston, but seems up to the task. He was coached by Steve Scott in college and now lives with the great Henry Rono! Follow his excellent blog here. 2. 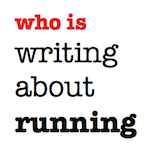 Writing About Running: You're 29 years old now. What have been some highlights of your career since college and before qualifying for the trials? 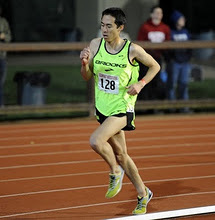 Jesse Armijo: I didn't really notice much improvement until I started increasing my mileage around 2008, which presented me with a surprise PR in the half marathon of 1:04:55. 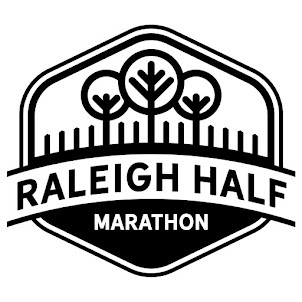 Other highlights could be a 6th place finish at the 2009 USATF club nationals, 16th place finish at the 2010 USA Cross Country Championships and a 10,000m PR of 28:59.96, which qualified me for the 2010 USA Track and Field Championships. 3. 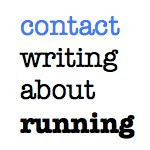 Writing About Running: You recently qualified for the trials at the California International Marathon (CIM) in a big PR of 2:17:19. How'd it feel to not only best the 2:19:00 standard, but to really break through with such a big PR? Jesse Armijo: It was an emotional feeling to see the clock click away at 2:17. After halfway, I thought I was going to run an incredible time for myself, and since I didn't have a watch, I didn't know what my splits were, except for the halfway split (about 1:07:16). Once 20 miles or so came around, I started to fade and was expecting a 2:19 and complete failure, as I wouldn't be in the trials, but I was wrong. After getting the time and making a few mistakes in the race, I now feel confident I can keep improving and bring down my time even more. I think that 2:17 was a long time coming, and I just needed the right preparations to make it happen. I'm more of a racer, but in the marathon, all my pervious performances were calculated failures by going out with a watch and clicking off even splits, until I inevitability faded. At CIM, I decided to just race. 4. Writing About Running: Your roommate is the great Henry Rono. First off, how'd that happen to be and how's he helped you along the way? Jesse Armijo: It is a very long story... Well, first off, I came to Albuquerque to be coached by Henry Rono and workout with a former CSUSM runner (Kris Houghton, who was coached by Henry). 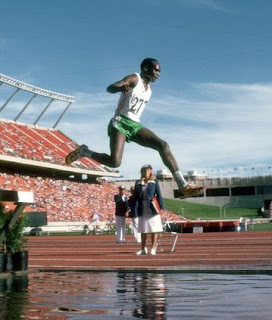 I was coached by Henry, until he gained his citizenship, and was offered a job to coach the Yemen Junior National Team. This happened around the spring of 2009. Henry wasn't coaching me or Kris until things started to get shady in Yemen (for Henry). He returned to Albuquerque in late 2010 and a friend of ours, who was in contact with Henry while he was in Yemen, picked him up from the airport and brought him to our house (a 5 bedroom house with 4 runners living in it). What was going to be temporary, turned permanent, as it was a good idea to have Henry stay with us, since he was also happier being around runners. His advise and wisdom have been yoda-like, as he captivates us with his stories. He has helped me along the way by keeping me positive and understanding how to "read" by body, as most of the Kenyans do when they workout and recover. Jesse Armijo: My goal at the Trials is to run a PR and beat as many guys (as possible) in the process. Jesse is a class act and I share in his joy. I made a huge jump at this marathon a few years ago, was great to be in the same race and see how strong he ran.